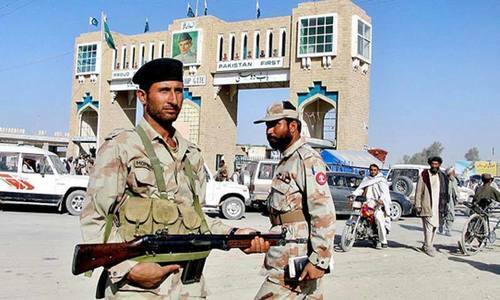 Iran has handed over 19,000 Pakistanis arrested for crossing the border illegally during the ongoing year, a security official told DawnNews on Friday. The Pakistani citizens had entered Iran through "less frequented routes" along the 900-kilometre border with the country in their bid to reach Greece and other European countries, a Federal Investigation Agency (FIA) official, who requested anonymity, told DawnNews. The official said that most of the illegal immigrants had belonged to Mandi Bhauddin, Gujrat, Sialkot and other densely-populated areas of Punjab. However, he said, very few of them managed to make it to Europe as most were arrested soon after they entered Iran. 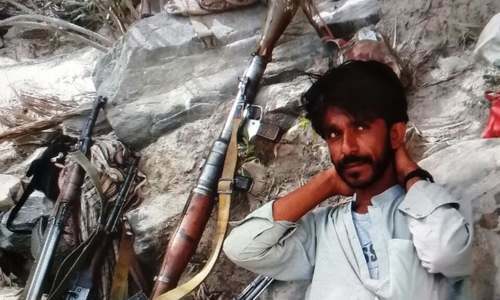 He also revealed that even though Iran had constructed a 64km wall to deter people from crossing the border illegally, human smugglers used routes in Mashkail, Mand-Bilo Turbat and Panjgoor to enter the neighbouring country. He said that FIA had set up a team comprising five senior officials to take action against immigrants who illegally tried to sneak into Iran after Levies officials found 15 bullet-riddled bodies in Kech earlier this week. The victims had been seeking a way to enter Iran in order to leave for Europe in order to find jobs. **** abandon a sinking ship ! @Rajesh it is, that's why you are here commenting. Poverty n deprivation cause them to risk their lives. Had opportunities available in the country why people chose worst possible option. Happy to note that you are released! All the best friend. With Tomatoes 170 Rs kilo. Wow! CPEC is such a gamechanger. I read in the English news that the journey is dangerous, and European nations are careful that a person who says he or she is a refugee really is.Crossing from Calais is impossible now. so think it through, example if you have relations in England that may help. But i say if you do get to Greece it may be just the beginning of your troubles,Their is no paradise in Europe, its best to make it at home. I see the names of the covered bridges, scott. These are the poor sods who got caught before they could continue their migration to Europe. Thousands did manage to reach their intended goals I'm sure. Visit any major cities in Greece, Turkey, Austria, italy or Spain and beyond and you will see many desis, Indians, Bangladeshis or Pakistanis aplenty. It is not their fault. The ruling elite of Pakistan has mansions in Dubai and UK and have abandoned the common citizen. They do what they can do the best. There must strict security. All borders should be fenced and monitored 24*7. It looks like there are too many desperate young people facing lack of employment opportunities. Let us hope rich politicians would realize what they have done to the country and its people. Pakistan also construct boarder wall so no one can escape. I know desperate people looking for work abroad should given job in the country so they do not have to leave. First of all these people must not have any education, just labors doing unskilled work in other countries is also difficult. Consequences of the mismanagement over the decades. @Rajesh . Pak is incredible, no doubt, only greed took youngsters away from home, some even sell their land to go. Otherwise you name it and we have that. Our Pak is rich of food grains , industry, hardy labor, the only class we lack is honest rulers. "@Rajesh Incredible Pakistan @Safdar it is, that's why you are here commenting" Sarcasm, irony.and blind patriotism. Vultures and scavengers interested in just comatose or rotten carrion. It may be already too late, but we somehow need to reclaim our nation. This should be an alarm bell for ruling elite (or whoever controls the country). Situation is grave and clear indication is people fleeing the nation. It is a national shame. There should b no border & no visa requirements for these two countries, just like EU citizens. @Ahmad : That is the great irony I have spoken about for years! "Azaadi" fills people with great expectations and pride---then reality sets in and they run! Other news popluation hit 200 million , stop uncontrol breeding so peopl3 don’t turn into animals. We are good at being illegal with anything including immigration. Pakistan is a lovely place then why do these people want to leave?